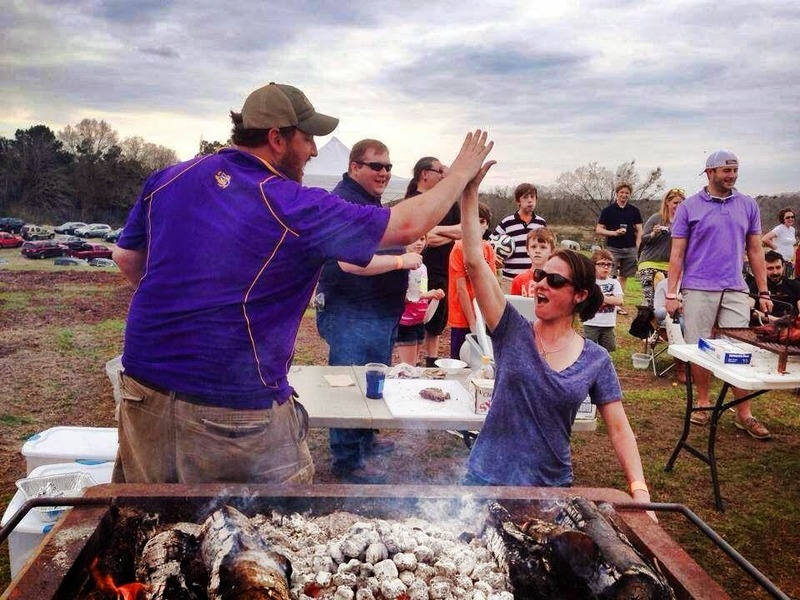 Jay Ducote and Aimee Tortorich congratulate each other on mastering the Cajun Microwave whole hog cookery. It is Whisk(e)y Wednesday but there is only one thing on my mind: how much whiskey can team Bacon Rouge consume this weekend at Hogs for the Cause? It seems like our team has an affinity for whiskey. The favorite seems to be Bulleit Bourbon. There's nothing wrong with that, though. All kinds of whiskey go really well with all kinds of pork. We proved that and then some at our Bacon Rouge preview party at Iverstine Family Farms back on March 9th. We'll do it again at Hogs this weekend. I hope you come to New Orleans and play! It is for a great cause, afterall. 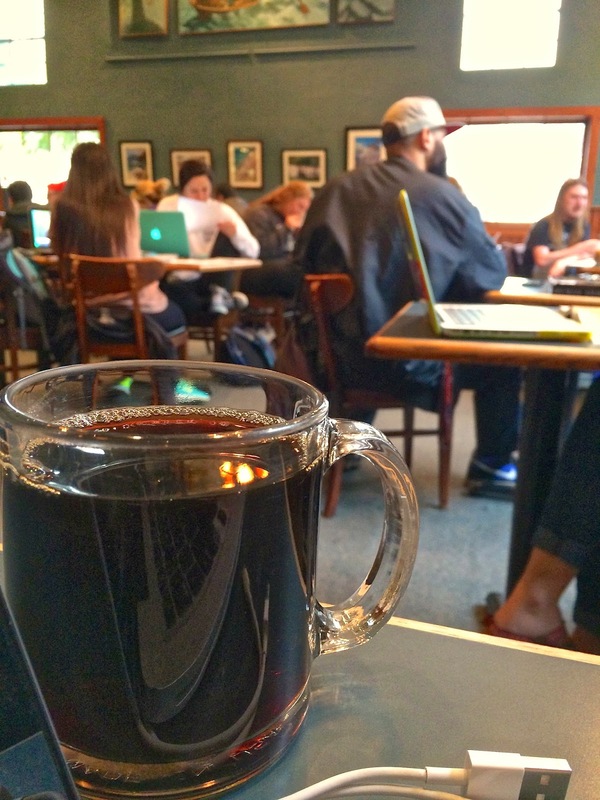 Coffee shops are a staple in society. Whether we're catching up with old friends, making the best of a rough morning, cramming for an exam, or working on that latest assignment, the coffee shop is our refuge. In the Baton Rouge area we have a multitude of options, each with their own personalities and amenities. Some have unique-to-us beans, some have special methods of brewing, and some have killer menus, but they all have the one thing that matters most: sweet, sweet caffeine. Here are eight of my favorite spots in no particular order... leave me a comment and tell me your favorite spots to grab a cup of coffee! Or you can leave a note on the Bite and Booze Facebook Page! Garden District Coffee: 2008 Perkins Rd. 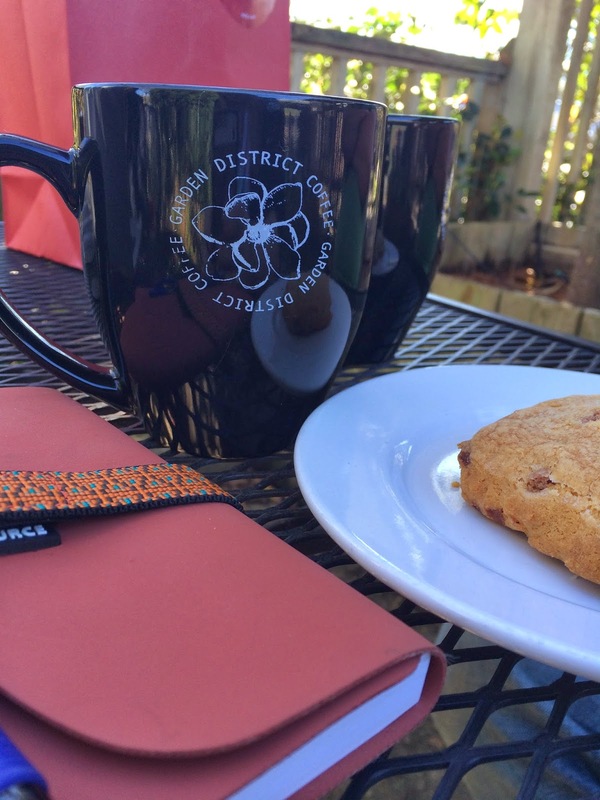 Your classic neighborhood friendly coffee shop: Garden District Coffee has a great patio, a roomy inside and delicious roasts. I’m typically a cup of black coffee kind of guy, so what I like most about Garden District Coffee is they have a different roast every day. 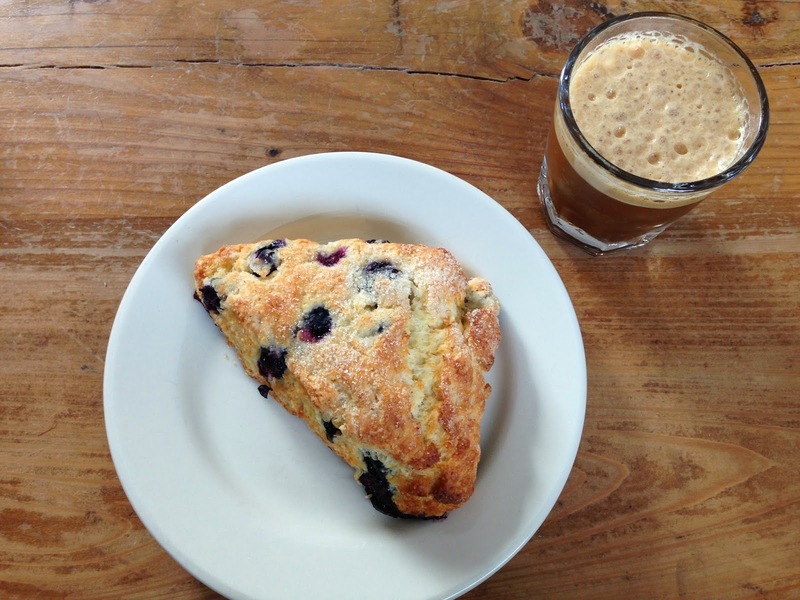 It’s a great place to go and grab a delicious cup of brew and a scone while you get some work done or chat with friends. Bite and Booze Bonus: If you’re looking for a hot cup of coffee with a kick, try the X-Treme…part brewed coffee, part espresso. Coffee Call: 3132 College Dr.
It’s the simple things that make life worthwhile, and Coffee Call has pegged some of those down. 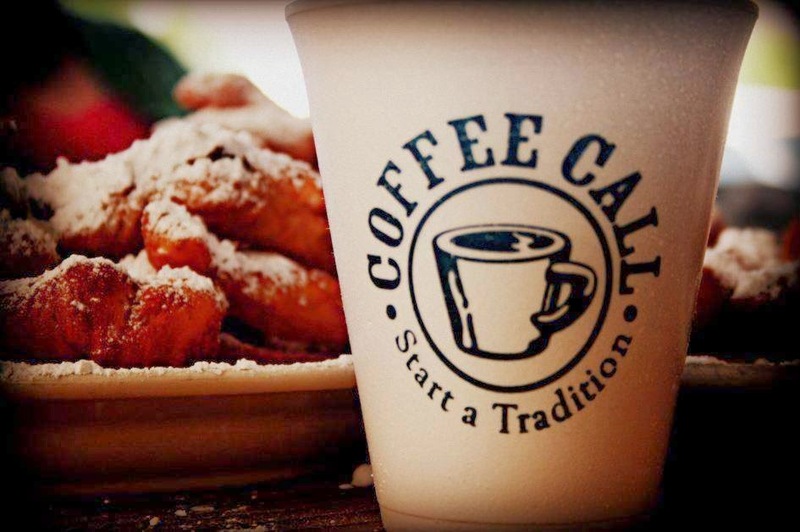 Beignets and coffee are the basic foundation of a southern morning. If you drop by Coffee Call on any given day you'll get a whiff of powdered sugar, frying dough and coffee beans…who wouldn't want to wake up to that? Bite and Booze Bonus: Try the beignet fingers and mix half café au lait and hot chocolate in your mug…it will change your life. CT Crunch Cake Balls courtesy of Brew Ha Ha! Brew Ha Ha: 711 Jefferson Hwy. Owner and local firecracker Gabby Loubiere made Mid City her home nearly a decade ago. It’s a cool spot with walls covered in local art and air full of the smell of her famous cake balls. You’ll go for the coffee, but you’ll stay for the friendly baristabots, cake balls, and delicious breakfast and lunch items (my Jay’s Louisiana Barbecue Sauce is on a signature sandwich). Highland Coffees: 3350 Highland Rd. The go-to brew of many LSU students and faculty for the past quarter century, Highland Coffees located just outside of LSU’s North gates specializes in house-roasted beans and imported authentic teas. This makes for an extensive retail section, an aroma that’s hard to beat, and a strong cup of joe. Being that coffee loses freshness quickly after roasting, Highland Coffees chooses to roast the beans themselves; they also only import tea from places using sustainable harvesting practices—just another example of cool people doing cool things in our fair city. Bite and Booze Bonus: I like my coffee dark, so I like their Italian Roast…it’s the darkest roast they offer and has a delightfully roasty flavor profile. Latte e Miele: 7809 Jefferson Hwy. If you’re looking for the land of milk and honey, you’ve found it…literally. Translated, Latte e Miele is milk and honey. Owner, Luca DiMartino was born in Rome and wanted to merge Italian technique with southern influences. 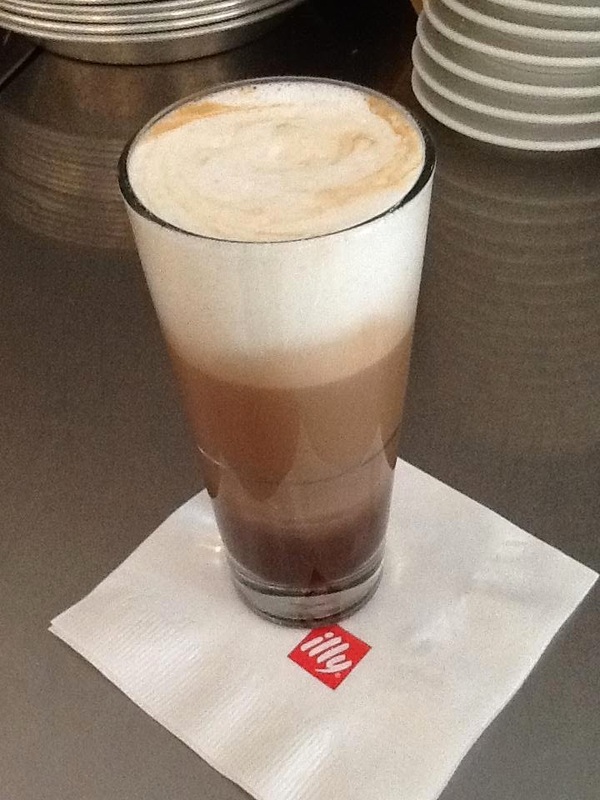 The product is Latte e Miele: a chef-driven café that grew out of its old home on Highland Road and now finds itself as a staple of the Bocage area. Baton Rouge native Marcus Day (Executive Chef) focuses on a menu that changes weekly with ingredients from local farmers. This is a place that will take you to everything from local pork to authentic gelato and all the espresso in-between. Bite and Booze Bonus: While you can taste them all, you have to try their signature Gelato and namesake: Milk & Honey. It can be a cure for virtually anything that ails you. 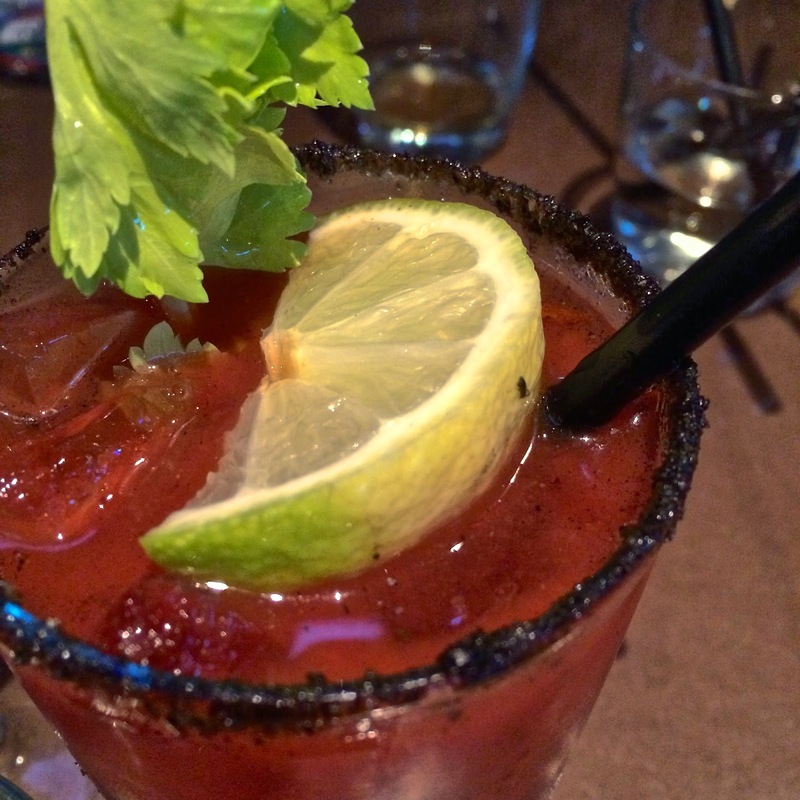 Magpie Café: 3205 Perkins Rd. After a decent amount of traveling and ongoing search for the ideal coffee shop at each destination, owners James and Lina Jacobs decided they would start their own at home. Using “slow bar” single cup brewing practices often seen in Portland or Seattle, Magpie focuses on local, seasonal, and organic ingredients. They are a killer espresso bar and there are some crazy good local eats coming out of that kitchen. Their offerings change every day and you have to get them while they're hot, because once they're gone, they're gone. Bite and Booze Bonus: Get whoever is working the espresso/coffee bar to fix a Pour Over for you. They'll tell you all about why this is the freshest coffee you'll sip. Also, check out this video that I did with James for 225: Into the Mix to learn more about Magpie. Strands Cafe: 226 Laurel St. I walked into Strands Café on a chilly day to have an early lunch and cup of coffee…what I got was an explosion of flavor. They have a heft pastry selection and brews ranging from Cuban Espresso to Old World Toffee Lattés, which might be my favorite. 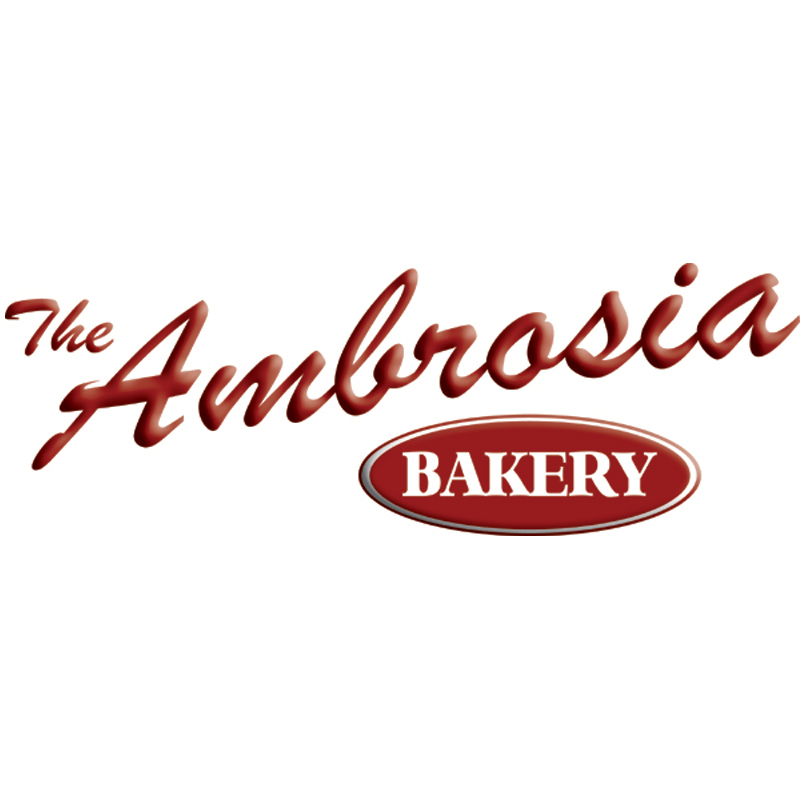 Family owned and operated, they specialize in their confections. When you walk up to the counter you see a case full of delicious chocolate creations that I can never resist. Whether you’re looking for a delicious little breakfast or lunch, a bold brew or a bite of chocolate—Strands can hook you up. Bite and Booze Bonus: Try the Frittata du Jour with a La Cubana espresso. Or just get a croissant. Man are those good croissants. Triumph Kitchen: 320 Third St.
As the new kids on the block, Triumph Kitchen opened their doors to the public on Feb. 28, 2014. While it serves the community primarily as a non-profit culinary education venue for at-risk youth, every morning students are slinging freshly brewed Community Coffee, lattes, and cappuccinos. Matt Saurage, Chairman of the Board for Community Coffee donated the coffee bar setup for the students to help them raise money for the venue and prepare them in the art of being a barista. Bite and Booze Bonus: If you’re just looking for a cup of coffee in the morning, drop by Triumph and get a cup of coffee for whatever you can donate in the tip jar. All money donated for brewed coffee goes directly to helping out this cool cause in our community. 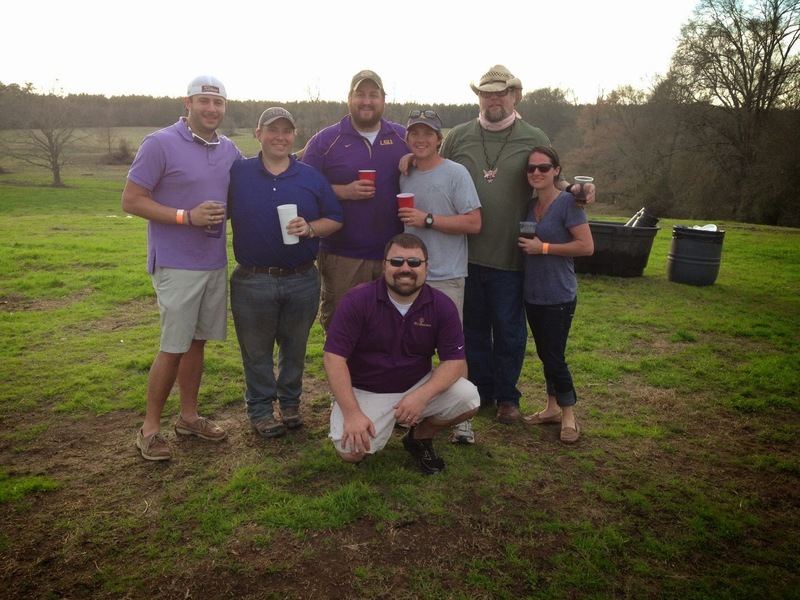 The Baton Rouge Epicurean Society is heating up for the third installation of CrawFête! I've attended this event for the past couple of years and I can't wait for another round. There's an all star cast of restaurants and chefs participating, sweet prizes lined up for auction, and plenty of bites and booze to go around at Mockler Beverage Company. 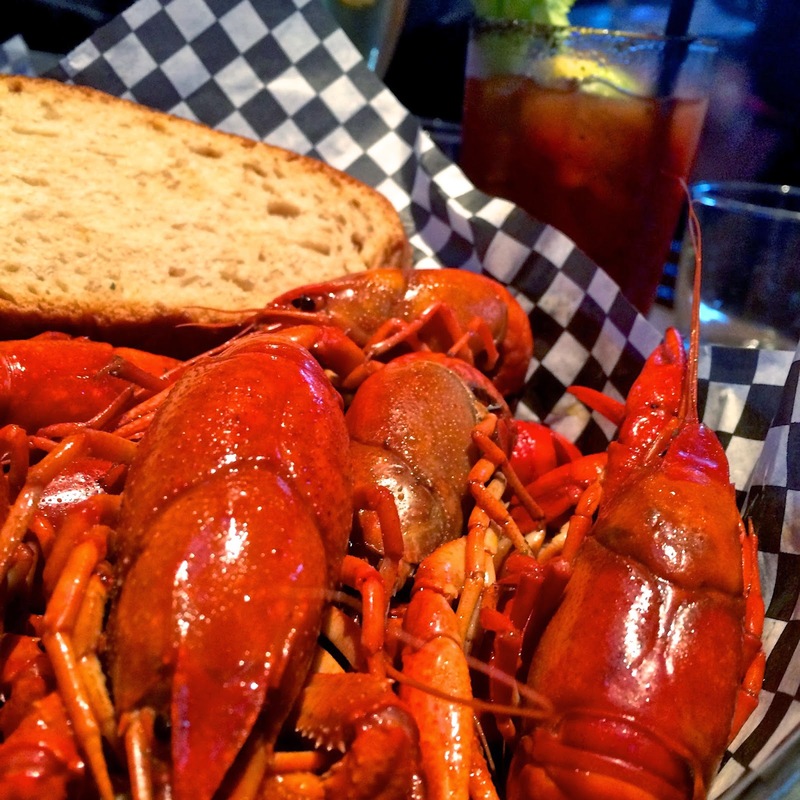 Auction items range from progressive dinners to a private crawfish boil from Sammy's Grill. The best part about this delicious event is all proceeds go towards local childhood health and nutrition programs. I love eating for a cause! 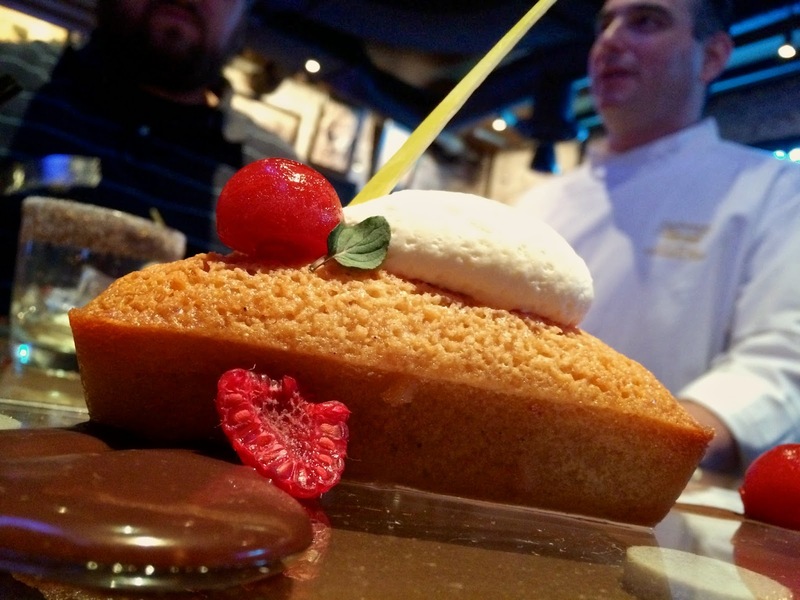 Participants for this year include: Bin 77 Bistro & Bar, Culinary Productions, Galatoire’s Bistro, Hot Tails Restaurant, Juban’s Restaurant, Latil’s Landing Restaurant at Houmas House Plantation, Mestizo’s Restaurant, Outback Steakhouse, The Pelican House, Ralph & Kacoo’s, Restaurant IPO, Ruffino’s Restaurant, Sammy’s Grill Catering, Stroube’s Steakhouse, and Sullivan’s Steakhouse. Tickets are $50 per person and well worth it considering that's dinner, drinks, and a good time! Grab yours before they're gone--see ya there! As the luck o’ the Irish would have it, I was invited to enjoy a Jameson Irish Whiskey dinner at the Stadium in L’Auberge Baton Rouge a few days before St. Patrick’s Day. 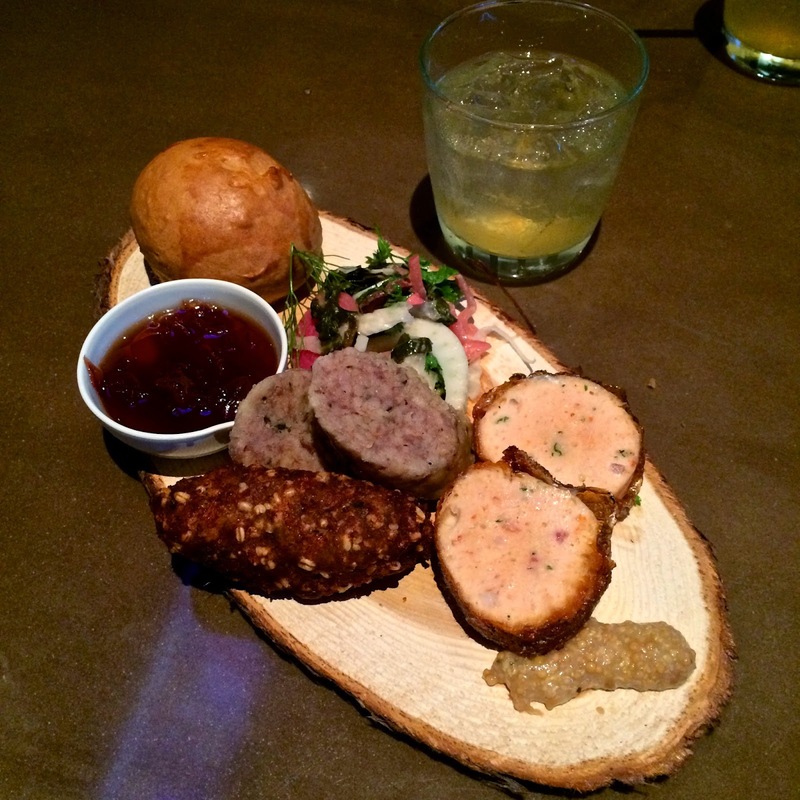 That seems like plenty of reason in itself to make this a Whisk(e)y Wednesday post, but they went a step further and incorporated whiskey into a lot of the food too. I'm generally not a huge fan of Jameson as I know there are better Irish whiskies out there without the expenses of massive marketing budgets. However, once you get into the Reserve and 12 Year Jameson, they have some pretty good stuff. If you have not yet had the chance to stop by the L’Auberge Casino, I recommend you make the time to check out the inspired facilities, the rooftop pool, and most importantly the food. Chef Jimmy at the Stadium set us up with a well thought out interpretation of some crowd pleasers and Irish classics. While each course was being brought out to us, we learned about the history of Jameson and the flavors that accompany this famous spirit from Arthur Lauck of the Lock & Key Whiskey Bar. A big thanks to Chef Jimmy for a scrumptious meal and to Julie Collins for the invite! Over Mardi Gras, Peggy Sweeney McDonald came to town to put on a Meanwhile, Back at Cafe du Monde... show at White Oak Plantation which I had the privilege to emcee. Later in the week she joined me as a guest on the Bite and Booze Radio Show. 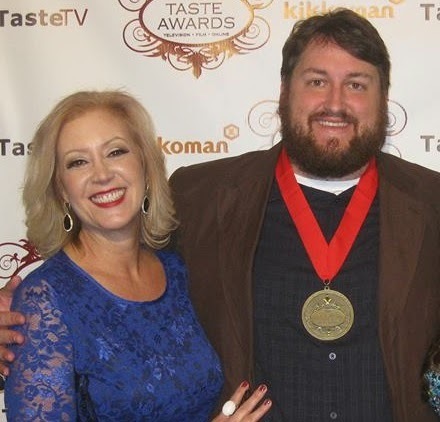 We talked about all sorts of things from the Meanwhile show to my trip to Los Angeles for the Taste Awards and of course our favorite eats along the way so that we could savor the sweetness, as Peggy likes to say. Give it a listen! 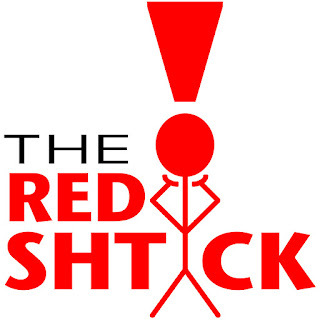 The Bite and Booze Radio Show presented by Calandro's Supermarket airs on Saturdays at 5 PM and replays Sundays at 8 PM on Talk 107.3 FM in Baton Rouge. The show is hosted by Jay Ducote and won a Taste Award in January 2014 as the best food or drink based radio broadcast in the country. The producer of the show is Chris Courtney at Guaranty Broadcasting and the field producer is Charles Pierce from the Me and My Big Mouth Show. It is also available on iTunes. 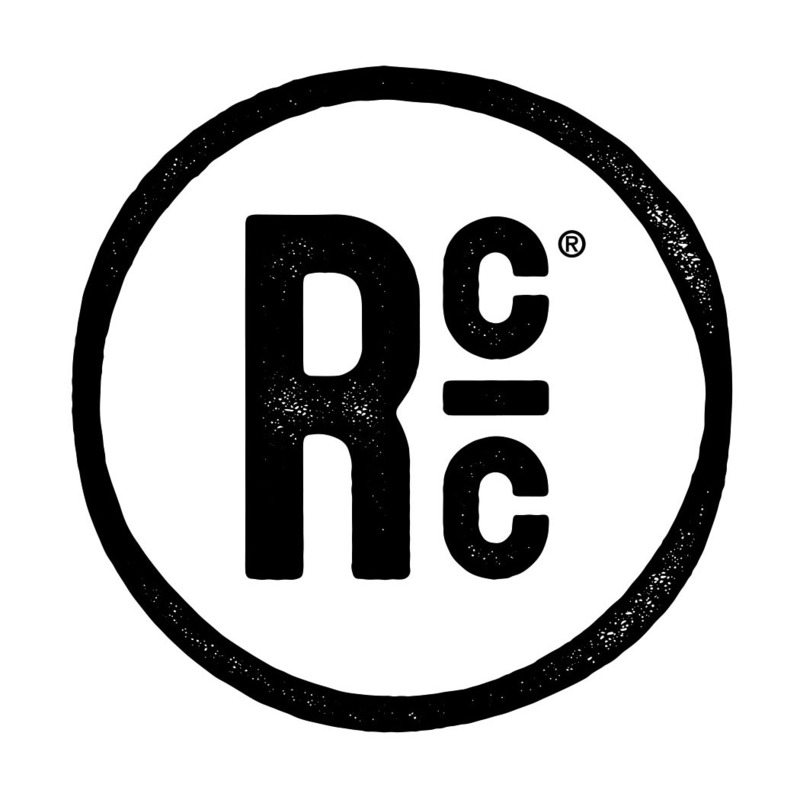 The show's sponsors include Calandro's Supermarket, Visit Baton Rouge, Le Creole Restaurant, Slap Ya Mama Cajun Seasoning, Mama Della's N.Y. City Pizzeria, Restaurant IPO, Mason's Grill, Donner-Peltier Distillers (Rougaroux Rums and Oryza Vodka and Gin), Louisiana Cookin' Magazine, Juban's Restaurant, the Tin Roof Brewing Company, the Louisiana Culinary Institute and Triumph Kitchen. I truly can't speak enough about the success of the Louisiana Culinary Institute. 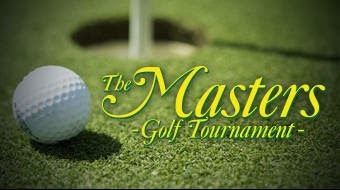 They have been selected as the organization to aid world class chefs from 27 different culinary establishments during The 2014 Masters tournament at Augusta National from April 3-14! This is one of the biggest and best golf tournaments in the country, drawing athletes and crowds from all over the world. This is an amazing step for LCI and will no doubt shine a light on their hard work and impeccable skills on the culinary world stage. Congratulations to them and good luck to all of the instructors, alumni, and students that will be representing LCI and Louisiana at The Masters! Here's a video that I helped produce about LCI, in case you aren't familiar with their state-of-the-art culinary school right here in Baton Rouge. Leading the LCI team will be Chef Instructor Chef Derrick Beverley and LCI graduate Nathan Roose who is currently the General Manager at Sammy’s Grill in Zachary. I'm so proud of their much deserved success. Drop by their Facebook or Twitter to congratulate them or sign up for some leisure classes and learn some skills from their world class chef instructors! Of course, if you're interested in culinary school, you can get much more information at www.lci.edu. About a month ago I had a lovely meal at Pinetta's in Baton Rouge with some cool folks from Lafayette who are doing some pretty noteworthy stuff in the way of culinary culture. One of these people was Chef Jeremy Conner who is currently Executive Chef at Village Café. Renaissance Man Lucius Fontenot was another. And finally there was Tyler Thigpen, who invited my Chief Confusion Coordinator Blair Loup and me to enjoy the third installment of the Pig and Plough Dinner Series. Pig and Plough is a farm-to-table dinner series that highlights Louisiana food culture, promotes collaboration between the chef community, and on this occasion helped raise funds for Earthshare Gardens. 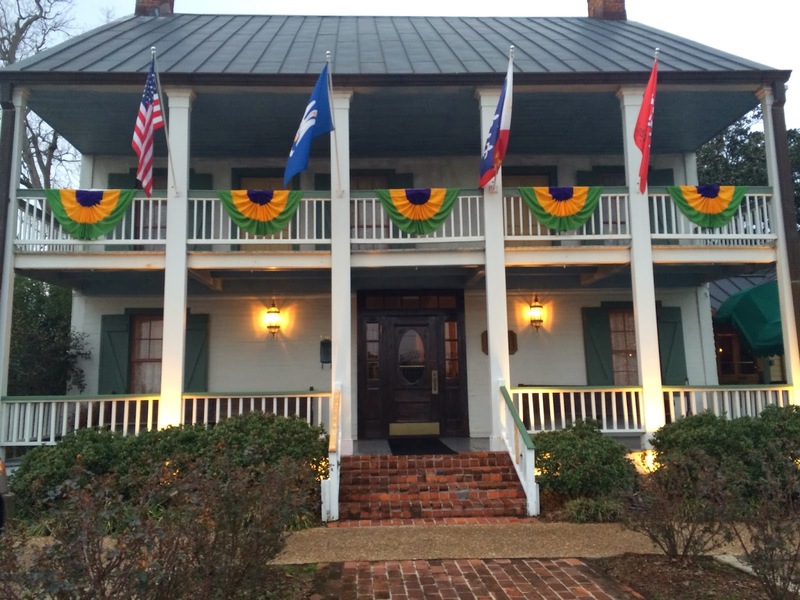 The Krewe de Terre Pig and Plough Supper took place at historic Cafe Vermillionville with a menu prepared by their own Chef Pat Waters and Chef Holly Goetting from Charley G's. Many of the Lafayette area chefs filled the kitchen in order to collaborate on a special project. The coming together of the culinary community was inspiring to say the least. 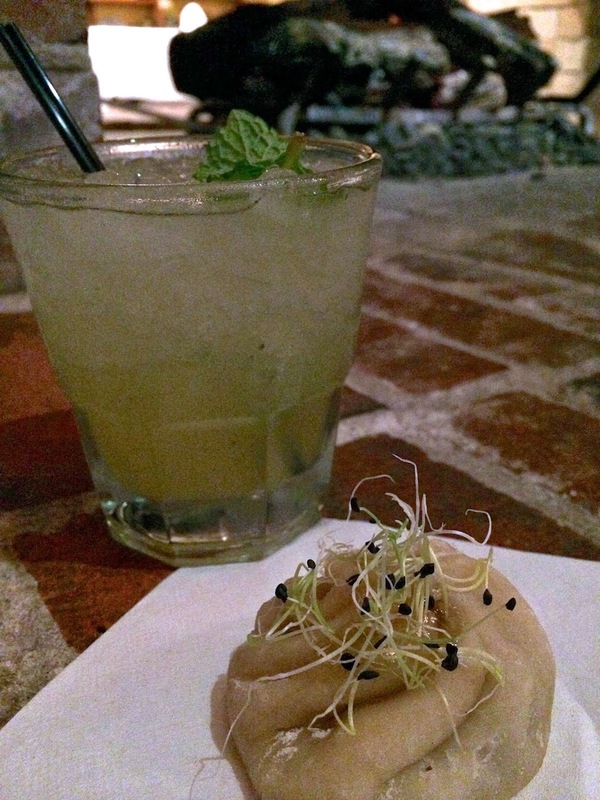 We started with a few hors d'ouvres and a minty cocktail made with Oryza Gin. From there it took of into another world of deliciousness. Just look at these dishes that came out of the kitchen that night! 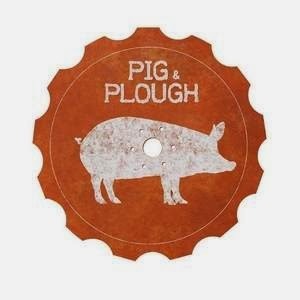 Just throwing it out there... it is quite possible that a Pig and Plough supper will be coming to Baton Rouge. Stay tuned to Bite and Booze for more information in due time. The best thing to do is subscribe to the email blasts and like the Facebook Page, both of which can be found on the top right corner of this page. This upcoming Saturday marks one of the best days of the year in Baton Rouge. Our annual St. Patrick's Day celebration starts early with a parade and then the Perkins area from the Overpass all the way to Juban's doesn't stop rocking for the rest of the day. I'll be out and about somewhere. I hope you find me! On the tiny Caribbean island of Montserrat, they celebrate St. Patrick’s Day in honor of the proud mutineers of Irish slaves who fought a failed rebellion against their colonial masters on March 17, 1768. Ever since, in true Irish spirit, St. Patrick’s Day has been a public holiday on Montserrat – the Emerald Isle of the Caribbean. There are two countries in the world where St. Patrick’s Day is a public holiday: Ireland and Montserrat. I've been to Ireland. Maybe it is time for another Caribbean vacation! Here's the Montserrat cocktail, courtesy Tim Herlihy, Tullamore D.E.W. Irish Whiskey’s National Brand Ambassador! Muddle brown sugar cube, bitters and small amount of Tullamore D.E.W. in bottom of rocks glass. Fill glass with cubed ice. Stir to dilute, adding Tullamore D.E.W. slowly. Add more ice as necessary. 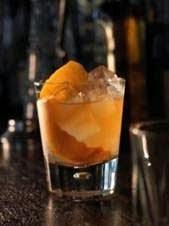 Afterwards, add apple juice and garnish with an orange twist. Gourmet in the Garden is a progressive dinner amongst the flora of LSU AgCenter's Botanic Garden at the Burden Center on Friday, April 25th. Every bite taken represents support of the Botanic Garden and Louisiana Culinary Institute's Foundation which provides scholarships and support for their students. I'll be there whipping up a rockstar dish for the all the attendees with LCI student Aimee Tortorich. I know Chef Chris Wadsworth and LCI grad Paige Lucas will be there as well. Maybe we'll get a few more challengers out there too. Also, the music of Kirk Holder and Charles Pierce will fill the air. There will be gourmet dishes prepared by some talented chef's, a few drinks, and good times to be had. To learn more about the event visit the Gourmet in the Garden Facebook Page or join the event and see who's going! Tickets are on sale now and are going fast, grab yours now! 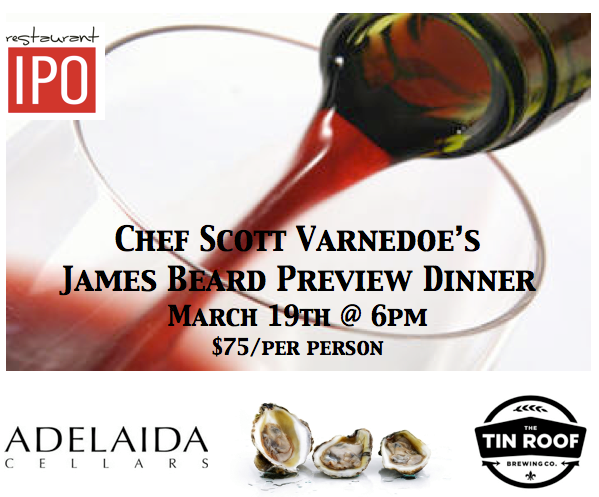 Chef Scott Varnedoe will be cooking at the famous James Beard House in NYC for the fourth time on March 28th, but before he leaves Baton Rouge he is giving us a preview of the meal he'll be preparing with sous chef Aaron Brown. 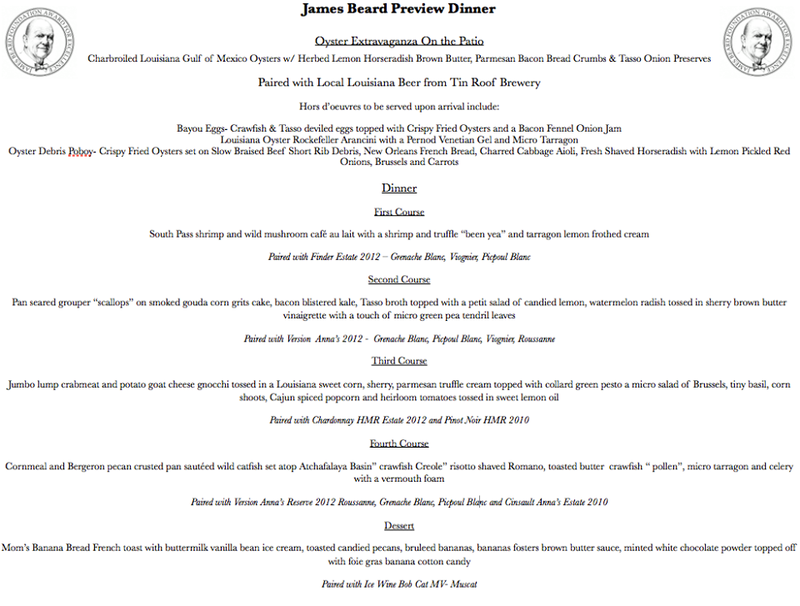 If you'll be in New York, you can find more details about that dinner at http://www.jamesbeard.org/events/louisiana-seafood-celebration. For those of us in Baton Rouge, our chance to feast comes on March 19th as Chef Varnedoe turns Restaurant IPO on Third Street in downtown Baton Rouge into James Beard South for the night. As of the time I'm writing this, there are still a few seats available for the dinner. The best way to book your spot is to call Restaurant IPO at (225) 302-5541 right now. Below is the menu for the event. If you click on it you should be able to zoom in and read it better! It is going to be a lot of EXCELLENT food! The Donner-Peltier Distillery in Thibodaux, LA is creating some mighty fine spirits that not only should we all be drinking, but we should also be quite proud of. 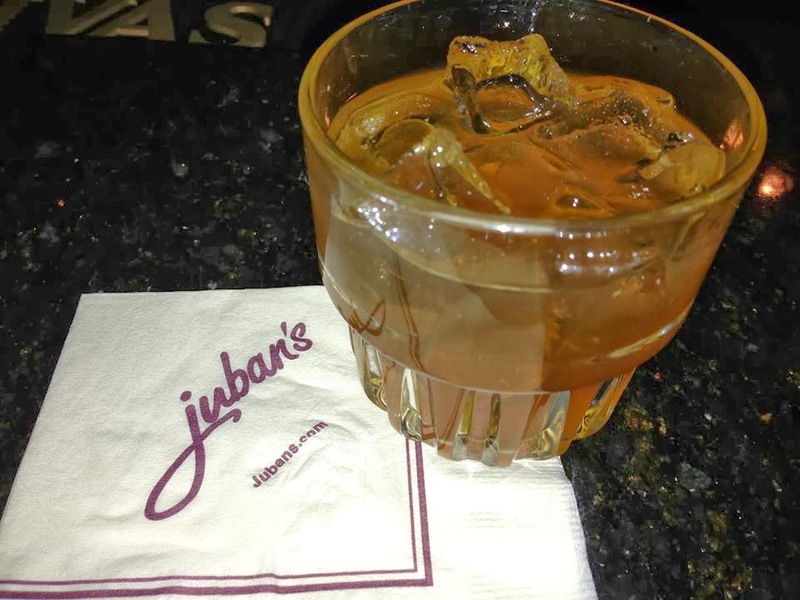 Making the Rougaroux line of rum out of Louisiana sugar cane, the Oryza brand of vodka and gin out of Louisiana rice, and now Louisiana's first legally distilled aged whiskey since prohibition, the folks down in Thibodaux are really doing it right. Johnny Culpepper, head of the sales team for DP, joined me recently on the Bite and Booze Radio Show. Also in studio, Josh Duke from Olive or Twist mixed up their 13 Pennies for the Rougaroux cocktails which features the 13 Pennies Praline Rum. Blaise Calandro III from Calandro's Supermarket, where you can find all the Rougaroux and Oryza products, came in studio as well. We had a great time, and the radio show should be a great listen! The Bite and Booze Radio Show presented by Calandro's Supermarket airs on Saturdays at 5 PM and replays Sundays at 8 PM on Talk 107.3 FM in Baton Rouge. The show is hosted by Jay Ducote and won a Taste Award in January 2014 as the best food or drink based radio broadcast in the country. The producer of the show is Chris Courtney at Guaranty Broadcasting and the field producer is Charles Pierce from the Me and My Big Mouth Show. It is also available on iTunes. The show's sponsors include Calandro's Supermarket, Visit Baton Rouge, Slap Ya Mama Cajun Seasoning, Mama Della's N.Y. City Pizzeria, Restaurant IPO, Mason's Grill, Donner-Peltier Distillers (Rougaroux Rums and Oryza Vodka and Gin), Louisiana Cookin' Magazine, Juban's Restaurant, the Tin Roof Brewing Company, the Louisiana Culinary Institute and Triumph Kitchen.